You are here: Home / News / Articles / Article / What Type of Results Can You Expect From a Survey Made by a UAV? 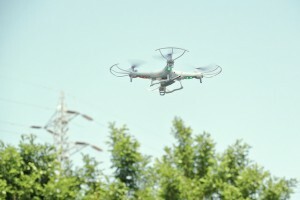 What Type of Results Can You Expect From a Survey Made by a UAV? Taking advantage of new technologies is a good way for a firm to accelerate their building projects and get a leg up on the competition. However, understanding those new technologies and the benefits they can offer can be difficult for companies that have not had prior experience with the technology. One example of this situation can be found with unmanned aerial vehicle (UAV) technologies, also known as drones. Everywhere you look, it seems there’s someone who is extolling the virtues of UAVs and holding them up as a transformative technology that will completely shift the way we do business. However, as is so often the case, many people are still confused about the exact benefits of UAV technology and how they can maximize its use. In this post, we’ll aim to clear up this situation by talking about exactly what you can hope to get out of applying a UAV survey to your projects. The first thing you should know about UAVs is that they are capable of surveying large areas in a relatively short period of time. This is part of what makes them so attractive for large-scale construction projects. In the past, the process of gathering land data using traditional surveying methods might have been one of the most time-consuming aspects of an entire project. Now, surveyors are able to gather all the land data they need in just a few hours, even for very large projects. In addition to speeding up the process of collecting data for land surveys, UAVs also help speed up the process of turning that data into useful models. UAVs are able to relay images of the land back to engineers instantly, resulting in engineers not having to wait to begin their work. As a result, UAVs can help projects move forward much quicker than they would by using traditional methods. Orthomosaics: This simply refers to a combination of many individual photos to form a single image that has a uniform scale and completely lacks distortion. Vegetation index: Often used in agricultural settings, a vegetation index helps determine where there is plant life and how healthy that plant life is. Digital surface modeling: These models are used to accurately demonstrate levels of elevation in an area, including the elevation of buildings and other objects. As the technology behind UAVs has become more affordable, the cost of funding a UAV data collection survey has plummeted, reaching the point where it is now much cheaper than traditional land surveying methods. The primary reason UAV surveying is so inexpensive is that the UAVs are able to cover large distances quickly, without having to travel over varying terrain. This eliminates the costs involved with the land surveyors physically covering the site and reduces the amount of man hours the work requires. Finally, UAV surveys create maps that can be accessed from anywhere. This is very useful on all projects, as team members in the field will be able to pull up the maps on their mobile devices and feel confident that they are seeing the exact same thing that the office staff is seeing when they access the maps from traditional workstations. If you’re looking for a way to make land surveying quicker, cheaper, and more accurate, Landpoint is here to help. Contact us today to learn more about UAV surveying or to get started with your UAV survey.